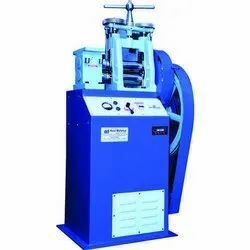 Prominent & Leading Manufacturer from Ahmedabad, we offer 6 x 3 inch single head rolling machine. We offer 6 x 3 inch Single Head Rolling Machine. The offered machines are precisely designed using optimum quality materials and sophisticated technology. Owing to their outstanding design and long-term functionality, these machines are highly regarded by the customers.